LE SOLUZIONI HOLOLENS DI FCC MIXED REALITY NON SONO SOLO SOLUZIONI. SONO RIVOLUZIONI. I NOSTRI CLIENTI PARLANO PER NOI. LEONARDO È UN'AZIENDA GLOBALE AD ALTA TECNOLOGIA NEI SETTORI DELL'AEROSPAZIO, DIFESA E SICUREZZA. CON SEDE IN ITALIA, LEONARDO CONTA OLTRE 45.000 DIPENDENTI. L'AZIENDA HA UNA RILEVANTE PRESENZA INDUSTRIALE IN QUATTRO MERCATI DOMESTICI (ITALIA, REGNO UNITO, USA E POLONIA) E COLLABORAZIONI STRATEGICHE NEI PIÙ IMPORTANTI MERCATI INTERNAZIONALI AD ALTO POTENZIALE. LEONARDO HA SCELTO LE SOLUZIONI FCC GROUP BASATE SU HOLOLENS PER L'ASSEMBLAGGIO, IL MONTAGGIO E LE ISTRUZIONI OPERATIVE DI AEREI MILITARI. LA PERINI NAVI DISEGNA, PROGETTA E REALIZZA YACHT DI LUSSO DI GRANDI DIMENSIONI A VELA, SOLITAMENTE CON DUE ALBERI. DAL 1983 E AD OGGI LA PERINI NAVI HA VARATO 61 GRANDI IMBARCAZIONI CON LUNGHEZZE VARIABILI DAI 40 METRI AGLI OLTRE 80 METRI. 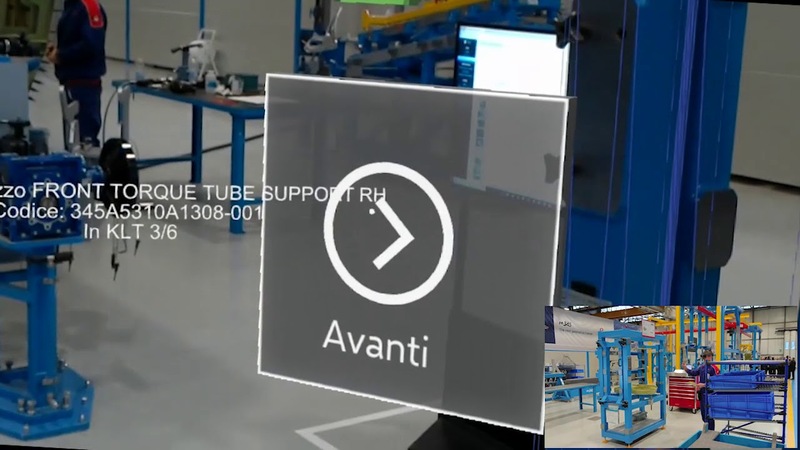 FCC MIXED REALITY SUPPORTA PERINI NAVI CON UNA APPLICAZIONE HOLOLENS CHE CONSENTE DI VISUALIZZARE UNO YATCH A PARTIRE DAL PROGETTO CAD, INTERAGIRE CON ESSO, MODIFICARNE LE CARATTERISTICHE E PRESENTARLO AL CLIENTE FINALE. BRIDGESTONE E' IL PIU' GRANDE PRODUTTORE AL MONDO DI PNENUMATICI, CON FABBRICHE DISLOCATE IN TUTTO IL MONDO. FCC HA FORNITO HOLOLENS A BRIDGESTONE PER LA MANUTENZIONE REMOTA DI IMPIANTI GEOGRAFICAMENTE LONTANI DAI CENTRI DI MANUTENZIONE.